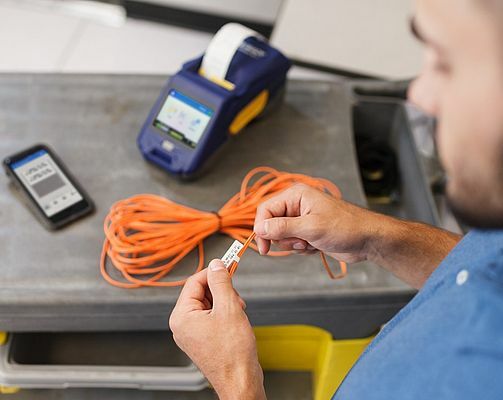 With Brady's Express app installed on any smartphone, users can easily design complex labels with 1D and 2D codes and barcodes, serialise, use an extensive image library, include text, a time stamp and even data from the cloud. The Express app offers the most comprehensive label design capabilities available for any smartphone and includes design wizards to quickly create specific identification labels. Label designs can be sent to the BradyPrinter M611 from the Express app on a smartphone via wifi or Bluetooth for immediate printing. They can also be sent to, or received from computers in the office so users don't need to design a label from scratch on every occasion. Simply access existing designs, edit and print to bridge the gap between the office and the field. 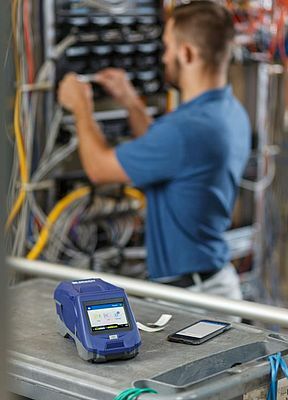 Labels designed with any app from the Brady Workstation app platform are compatible with the Express app delivered with the BradyPrinter M611. 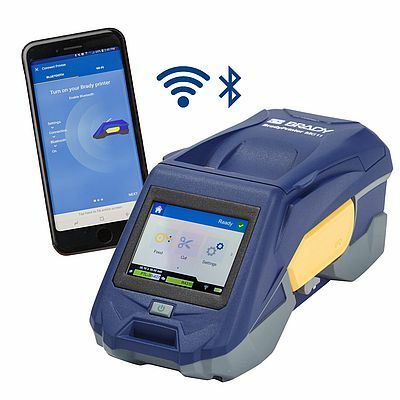 The new BradyPrinter M611 Mobile Printer is compatible with Brady's wide range of reliable, industrial grade label materials. Able to resist extreme temperatures, fire, chemicals, solvents, fuels, moisture or dirt, these materials are designed to stay attached and remain legible in challenging conditions. They are available in professional label types including wire wraps, self-laminating labels, flag labels, tags and various component labels including raised profile labels with nameplate quality. Watch the video below and see the printer in action!